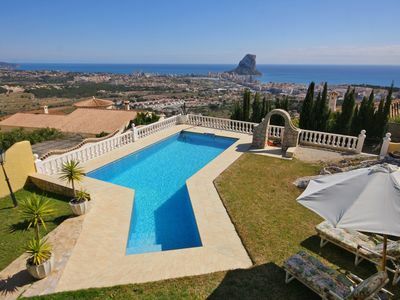 Villa with fantastic seaviews for 6 people in Calpe with private pool. This villa is situated, in a very quiet and fresh area called Oltamar at aprox. 300 m above the sealevel. It has a large terrace with nice garden and lawn surrounding the pool, ideal for to relax and to sunbath with fantastic seaviews and to Peñón de Ifach. 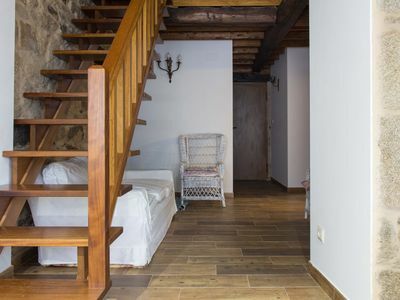 This villa is arranged on 2 floors with a living space of approx. 260 m². The plot is enclosed and has 800 m². Main Living area: (Access by external stairs). This floor has 2 terraces with seaviews, one of them glazed and with Access to the living-dining room and to the kitchen. Large living-dining room with sat-tv/tdt and elegant furniture. 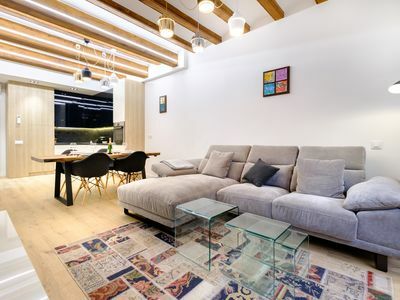 Separate kitchen, completely equipped with 2 gas and 2 electric hobs, refrigerator with freezer, oven, microwave, dishwasher, coffee maker, toaster and cookware and with Access to the terrace. 1 guest-toilet with washbasin. 1 large bedroom with double bed and bathroom en suite with bathtub, wc and washbasin. Ground floor: (Access by internal stairs) large living room on the level of the garden. 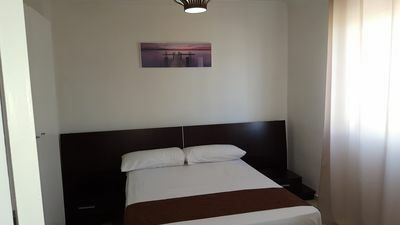 1 large bedroom with 2 single beds. 1 bathroom with shower, wc and washbasin. 1 bedroom with 2 single beds. 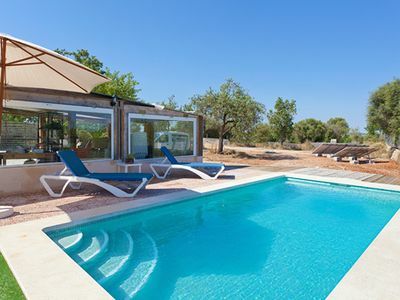 External: Pool of 8x4m with built-in stairs, built-in barbecue, external shower, 4 sun loungers. Parking for 2-3 cars on the plot. 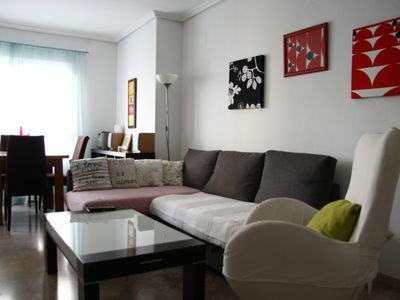 Only 3 km to the town centre Calpe and the next supermarket (Mercadona), 3,5 km to the beach Arenal-Bol. 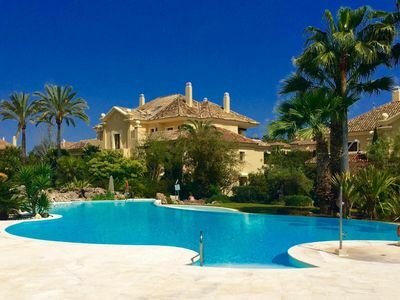 Sotogrande 4 bedroom apartment with service for 8 people.